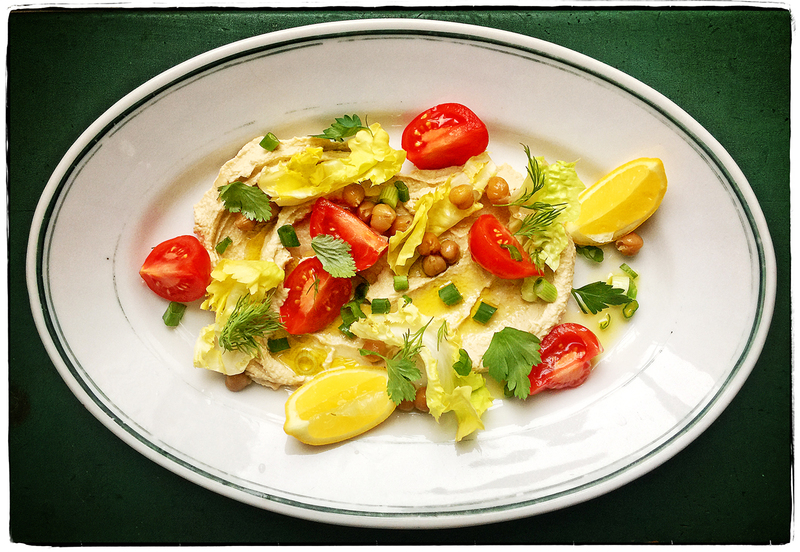 We tested 5-Minute Hummus from Michael Solomonov’s upcoming book, Israeli Soul (Houghton Mifflin Harcourt, 2018)—so guess what we are having for lunch? It lived up to it’s big brother, Zahav’s Hummus Tehina. We could just sit with two spoons and the plastic container full of the delicious purée and have at it. But we decided to be civilized, put it on two plates, and add some trimmings: cherry bomb tomatoes, a few chickpeas, scallions, fresh cilantro and dill, lemon, and a good drizzle of extra-virgin olive oil. Happy Monday, dear friends.